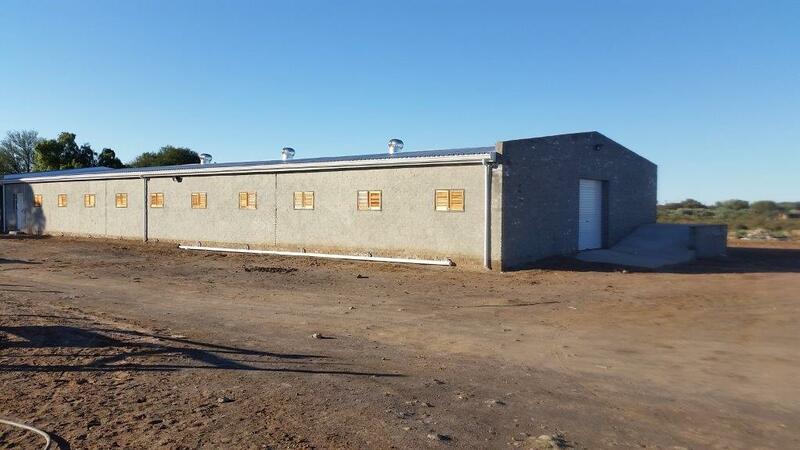 Casidra has completed the implementation of 20 unit horse stables for the Makwena Family Trust project situated in Beaufort West in the Central Karoo. Makwena Family Trust is a smallholder farm and was acquired by three beneficiaries through the Land Reform Agricultural Development Programme. This project is approximately three hectares in size and breeds horses. Currently there are about 20 horses on the farm that are used to teach the local children horse riding skills. The farm also produces horse-shoes to generate an income. For several years, the farm was faced with the challenge of breeding their horses in very old and dilapidated stables that could not accommodate all of their horses. The Western Cape Department of Agriculture (WCDoA) came to the rescue by allocating funds through its Comprehensive Agricultural Support Fund (CASP). The objective of the funds was to design and put a modern infrastructure in place to improve the existing old horse stables and equip them with relevant resources, which included various production inputs. The funds were managed by Casidra, the Department’s implementing agency. Casidra started with the design of the new building, the demolished and upgrading of existing horse stables; purchase of saddles, bridle and grooming kits; and ended with the training of the beneficiaries. Local contractors and businesses from Beaufort West were utilised as part of job creation and to improve the local economy. According to Casidra’s Project Managers, Sakkie Kordom and André Otto, all the project objectives were attained and successfully completed. No obstacles occurred during the implementation of the project. “This project has the potential to go from strength to strength in the future”, says Kordom.